You See Me speaks to the romantic vein of the audience. What do you do on a Rainy Day? Right, you are relaxing and that is this song all about. Soft Breeze imports some tropical flavor to the album. With Just Relax Gilbert returns to the favorite theme of his album. Smooth Jazz is his homage to a genre which is currently defending its position in music business. Gilbert's appeal for romance It's You That I Adore mesmerizes with a glooming melody. Bazz Funk is Gilbert's moderate approach to this genre. Cha Cha With My Baby awaits your move to the dance floor. All For You offers a romantic alternative. Swing Shift paints a pixel work of organ, sax and percussion. Frances continues the sound tapestry. The album is closed by A Song For My Mother, clearly destined to honor the life work of Gilbert's mother. 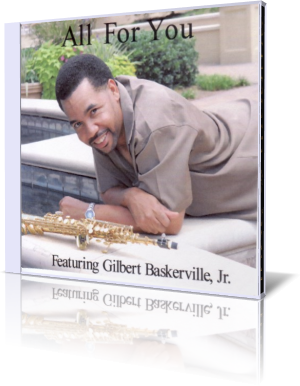 Gilbert's debut album All For You reveals his excellent skills in song writing and performance of his lead instrument, the saxophon in all its manifestations.